How to Become a Registered Nurse (RN)? The RN can work in various settings from the surgical suite, to the pediatric doctor’s office. Depending on which state and level of schooling a nurse has, such as a Nurse Practitioner (NP), the registered nurse can diagnose, treat, order tests, and prescribe medication similar to a physician. The Registered Nurse (RN) is an individual who has completed an accredited college with either an ADN (Associate Degree in Nursing), or a BSN (Bachelor of Science in Nursing). The job of a registered nurse includes taking/assisting in the care of patients who are either injured, sick, or in poor health. They can work in numerous health care settings including hospitals, physician’s offices, long term care centers, schools, surgery centers, etc. Registered nurses, depending upon the setting in which they work, educate families and individuals on the best ways to prevent disease and injury. Once becoming a registered nurse, the options for employment settings are many. Now the main question is how to become a registered nurse or in short how to become RN. The RN can work in various settings from the surgical suite, to the pediatric doctor’s office. Depending on which state and level of schooling a nurse has, such as a Nurse Practitioner (NP), the registered nurse can diagnose, treat, order tests, and prescribe medication similar to a physician. Nurse Practitioners in some states can even work in standalone offices. Once becoming a registered nurse, the possibilities for career, travel, and salary outlook are pretty incredible. The Registered Nurse makes up the largest segment of jobs in all of health care in the UK, and one of 10 occupations projected to have the largest numbers of new jobs annually through 2020. Opportunities should be excellent for registered nurses with advanced education and training. Some states report current and projected shortages of registered nurses, primarily due to an aging workforce and recent declines in nursing school enrollments. The registered nurse salary continues to climb in spite of the economy because health care continues to be a national focus, and demand for health care workers skyrockets, registered nurses can expect to see their salaries, and other benefits, grow in 2019 and it will continue. Salary of RN in 2019 is very lucrative and it will grow higher without any doubt. More and more employers are offering wonderful incentives such as hiring bonuses, college tuition reimbursement, and more flexible hours in order to entice the registered nurse to work in their facilities. However, hiring trends will likely be slow in the initial months of 2011 until a health care bill is fully implemented; after that, hiring for registered nursing jobs is expected to pick up in a big way to meet ever-growing need, and the registered nurse salary will increase as well. Overall, job opportunities, and the RN salary, are expected to be excellent for registered nurses. Employers in some parts of the country and in certain employment settings report difficulty in attracting and retaining an adequate number of RNs, primarily because of an aging RN workforce and a lack of younger workers to fill registered nurse positions. The registered nurse job description could fill several books because there are so many specialties that can be pursued in nursing. Being a nurse requires a lot of training as well as being healthy both physically and psychologically. Read through this site for the different registered nurse job description articles. More will be added as time goes on, so bookmark this page in your browser and return frequently as I am constantly trying to get new information posted. 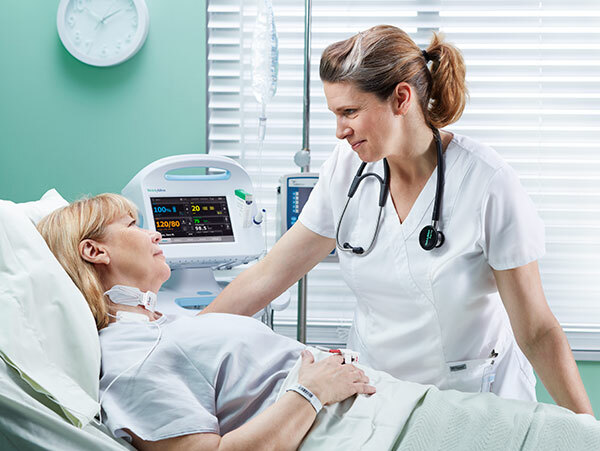 Nurse duties vary depending on the nurse specialty, but overall there are a certain number of daily cares that are common to all nurses no matter in what department they are. Whether RNs work in a public hospital or private health care centers they usually work in a team, therefore excellent team work and communication skills are necessary besides being good listeners. The RN will usually be the one in charge of a particular floor or area in a hospital because of their education and experience. Under their direction will be LPN’s (Licensed Practical Nurses) and CNA’s (Certified Nurse Assistants). In addition, RN’s administer medication, determine nursing care plans, draw blood for lab tests, educate patients and their families, charts the a health assessment of their patients, and a myriad of other activities. A written registered nurse job description can’t fully describe the mental and physical exhaustion nurses sometimes feel at the end of a shift, nor can it describe how incredibly emotionally fulfilled the registered nurse is from doing their job. Know World Now: How to Become a Registered Nurse (RN)?